In 10-inch skillet, heat oil over medium-high heat. 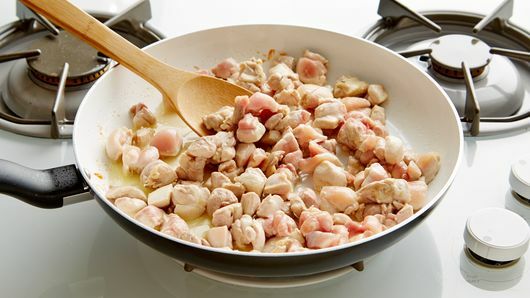 Add chicken; cook 5 to 6 minutes, stirring occasionally, until no longer pink in center. 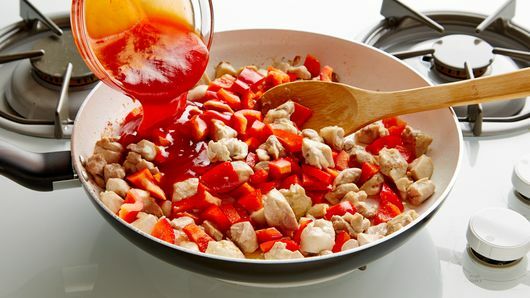 Add bell pepper and sweet-and-sour sauce; cook 3 to 4 minutes, stirring occasionally, until bell pepper is tender. Stir in pineapple; cook 1 to 2 minutes or until hot. 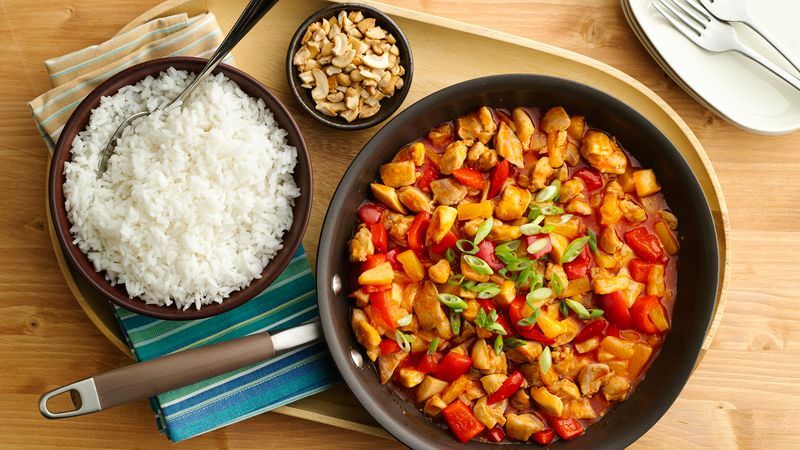 To add crunch, sprinkle with 1/2 cup chopped cashews. Boneless skinless chicken breasts can be used instead of chicken thighs.